Do you ever have trouble falling asleep? There have been a lot of studies which led to the development of a few ways in which you can help you go to the dreamland or temporary nothingness. Falling asleep has a lot to do with the conditions in which you are trying to go to sleep. These conditions may involve the time of the day, how tired you are, and most importantly the temperature. In this article let’s take a look at how having your just one or both of your feet out of the covers can help you get some effective and sound sleep. Your body is an automated machine that contributes to helping you fall asleep. It brings down the temperature just a few degrees below normal because the human body feels sleepy in cooler temperatures. This is done by venting out heat from the extremities of the body such as your fingers and feet. By bringing the temperature down not only is the body making it easier for you to fall asleep, it is also helping it maintain a healthy functionality. Also read about: The Need For A Good Night Sleep. The sleep cycle is heavily dependent on the circadian rhythm which decides when you fall asleep and when you wake up. Circadian rhythm is also known as the body clock. By regulating the temperature of the body it signals you when to wake up and when to go to sleep. Below are some interesting facts about body temperature and the circadian rhythm. Circadian rhythm is responsible for telling the body when to wake up and when to go to sleep. This rhythm takes cues from the environment such when it’s bright it signals the body to wake up by raising the body temperature. Similarly, when you turn the lights off the body is signaled to go to sleep and its temperature drops a little. As established earlier, cool temperatures help you fall asleep faster. There are people who find themselves sweating profusely at night, yet they cannot go to sleep without a blanket or some sort of cover over their body. While studies have shown that sleeping with heavy blankets have helped people suffering from insomnia, it is still essential to keep at least one foot out of the covers. Here’s why. Since we are a warm-blooded species we need to maintain a certain normal temperature throughout the day for various activities. So, if you find yourself sweating under the blanket, one of the possible reasons is that your body is trying to regulate its temperature. The body regulates its temperature by venting out excessive heat to ensure normal functioning of the body. Since most our body, including the extremities, are inside the blanket, there is no opening through which the body can release the excess heat. As a result, body releases sweat hence making it harder for you to sleep. When you are under the blanket the temperature of the body rises making it easier for the blood to flow more freely. In order to maintain a good night’s sleep, it is essential to keep the body temperature low, restricting the blood flow. Hence by having one foot outside the covers, you are helping the body maintain a certain low temperature and low blood flow which are two essential keys to a sound sleep. 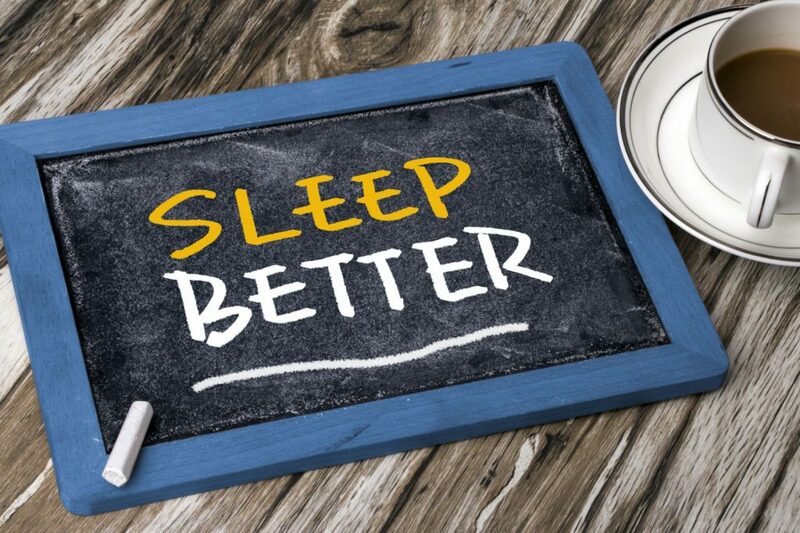 Also, read about: Why A Good Night’s Sleep Must Be Your Priority. While having a foot outside the cover is helping you sleep better, there are still certain activities which will help you prepare the body for a good night’s sleep. Getting exposure to bright light during the day keeps the circadian rhythm on track and as established earlier, this is what helps you fall asleep on time at night. Most of the screens give off a blue light which tells the brain to stay awake as it thinks you’re still working. That is why it is recommended to avoid the use of phones or laptops in bed if you want to go to sleep. Books help you tune out the outside world helping you release a stress-inducing hormone called cortisol. Needless to stay that books make you smart. When you are reading a book your cognitive functions also improve significantly over time. In a much similar way, music also helps release stress and is especially help for people with sleeping disorders. This again has to do with the thermoregulation of the body, when you step out of a warm and steamy shower, the body tries to quickly bring down the temperature which is helpful for getting ready for the bed. Same could be said for a hot beverage taken before the bed regulating the body temperature in a similar way to that of a shower. Related Reads: Best Sleeping Positions. What we can establish as a crux of this article is the fact that your body needs a cool temperature to fall asleep, and having your feet outside the covers is one of the ways in which you can achieve that. So, conclude, I leave you with the words of Ernest Hemingway, “I love sleep. My life has the tendency to fall apart when I’m awake, you know?”.